Guard Dog vs. Home Alarm System – Alarm System Wins! Have you been thinking about getting a large dog to protect your home? Do you believe the dog you already have will protect your home? If so, you need to reconsider. Dogs are great for companionship but they are not a viable replacement for having a monitored home security system installed in your home. Not only can the professionals here at Holder’s Security help you with a new home security system they can tell you why having one is much better than relying on a guard dog. Although you may believe having a guard dog is good enough to deter a burglar, the truth is a dog is only a slight deterrence. Burglars are not good people. They don’t really care whether your dog lives or dies. They may kill or incapacitate your dog to enter your home. It sounds harsh, but sadly it’s true. If you travel or go on vacation, do you plan to leave your dog at home alone? Many people board their dog or take it with them when they are away for an extended amount of time. If you have a security system installed, your home will no longer be vulnerable to a burglary during long stretches of days while you and your family are away. Plus, with the new advancements to modern security systems, you can also check your home online while you’re away. Additionally, if you do decide to get a guard dog, you should plan to train the dog. 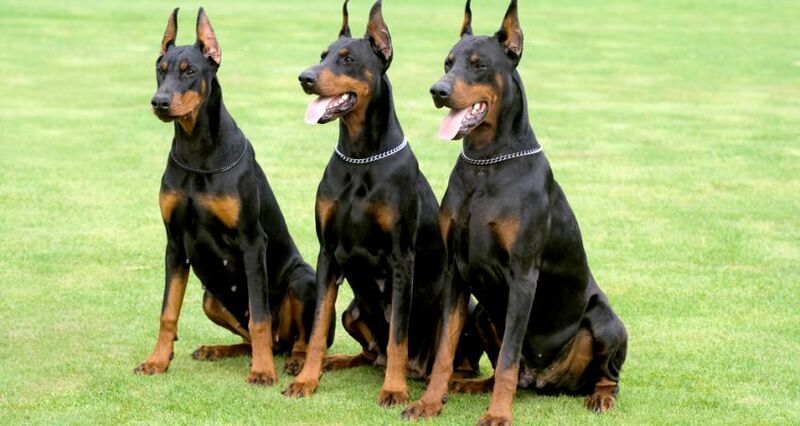 An untrained dog makes a poor guard dog and a well-trained guard dog can become a liability. More than likely your guard dog will become a dear and loved pet, one that may easily become too accustomed to visitors, as you will obviously allow folks you know into your home. On the other hand, a well-trained guard dog may become aggressive and attack an innocent person, resulting in a lawsuit. Insurance Journal reported $530 million in dog-bite liability claims for U.S. insurers in 2014 with the average dog-bite claim exceeding $32,000. Moreover, having an alarm security system installed in your home will lower your insurance premiums. According to Forbes, some insurance companies might even deny you coverage if you own certain breeds or certain mix breeds of dogs that are considered highly aggressive. Finally, most home security systems provide video monitoring. A guard dog cannot help you with capturing video of a burglar. When you compare the overall cost of owning a guard dog (initial purchase, food, training, insurance and vet bills) to the cost of having a home security system, the home security system proves to be the most economic option for guarding your home. If you’re interested in having a security system installed in your home, give our professionals at Holder’s Total Security a call 918-663-8660. Visit our website at Holdersecurity.com for more information. This entry was posted in Access Control Systems, Home Security System. Bookmark the permalink.